Following a suggestion placed in the School Council Suggestion Box the School Council have decided that they would like to ‘twin’ the school toilets with a school toilet block in the third world. We were most impressed that some members of the School Council were already well informed about this initiative due to having either their own home or cub-scout toilet twinned. We will be discussing in assemblies how something that we all simply take for granted is not actually available to every child around the world. This lack of such a basic amenity stops some children from being able to attend school. The latest statistics show that 2.4 billion people in the world do not have access to a toilet. The children have researched that, for a donation of £240 they will be able to ‘twin’ with a school and provide them with a toilet block. 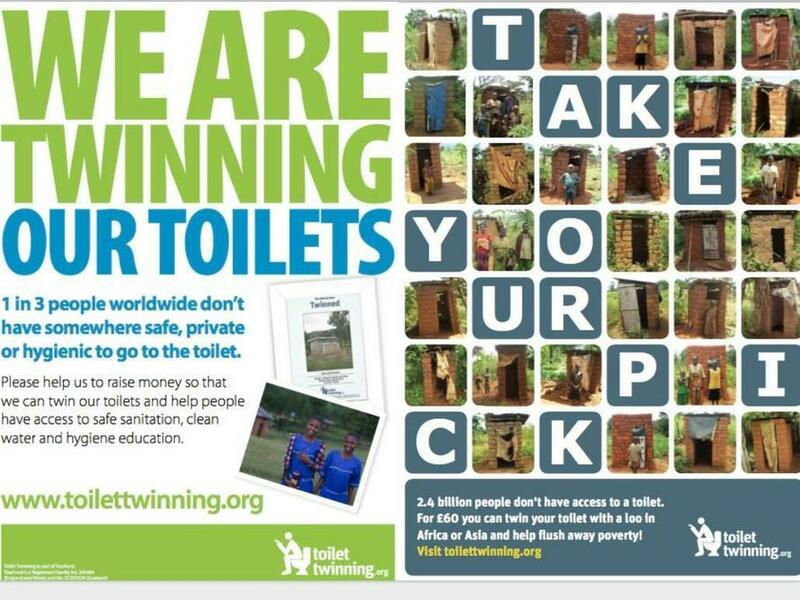 They have set themselves the target of ‘twinning’ on World Toilet Day 19.11.16. They have already raised £200 from previous fundraising activities and are now looking towards the £40 shortfall. They appreciate that we already have a number of fund-raising activities planned for the year and so have suggested that we place a donation jar for loose change in the reception area. Should you wish to donate any of your loose change please feel free to do so.